The Alberta government says construction on the final leg of the Calgary ring road will start next year. 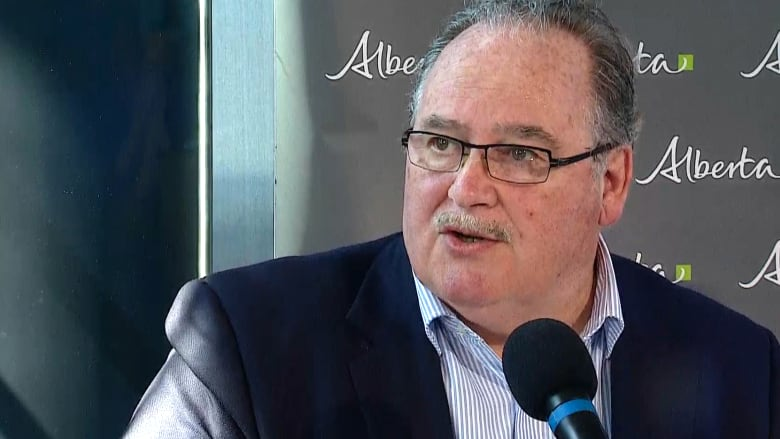 In Calgary on Thursday, Premier Rachel Notley and Transportation Minister Brian Mason announced the province would fund the West Ring Road extension, which may cost at least $1 billion. The new road will include more than nine kilometres of six- and eight-lane freeway on the west side of the city between Highway 8 and the Trans-Canada highway at about the 101st Street alignment. It will have six interchanges and 24 bridges. North: About three kilometres between Highway 1 and Old Banff Coach Road, including 18 bridges, four interchanges and two flyovers. South: About four kilometres between Old Banff Coach Road and Highway 8, with seven bridges and four interchanges. Twinning of the Bow River bridge on the northwest part of the ring road and widening of a two-kilometre stretch of Stoney Trail from Crowchild Trail to Scenic Acres Link. The 2018 budget earmarked $2.1 billion over five years for both the Calgary and Edmonton ring road projects. "The objective here is to break it up a little bit, to make sure that more companies are in a position to bid," Mason said at the press conference. "We want to make sure that everybody gets a shot to participate in that project." The West Ring Road project will cost at least $1 billion, he said. The detailed anticipated cost of the project is not yet being revealed as he said doing so could affect the bidding process. "But I can tell you the number for this project will have 10 digits," Mason said. Construction of the West Ring Road is expected to create or sustain up to 2,600 direct construction jobs, the province said. "It will mean improved traffic for commercial haulers going across Alberta and beyond our borders," said Premier Rachel Notley. "And it will mean an economic boost for Calgary, allowing faster, better routes into and out of the city. And it will save people time, which is a good thing." 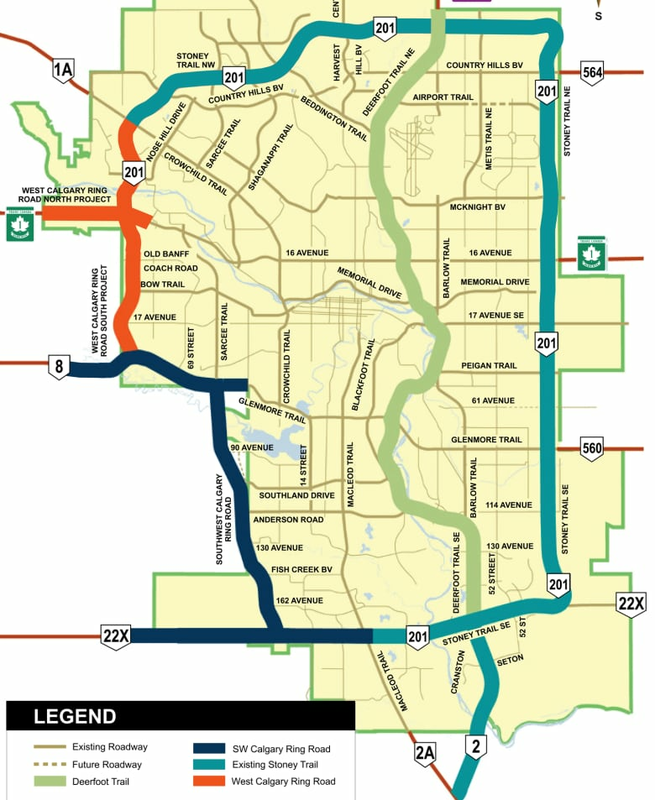 In 2016 the province signed a $1.42-billion deal with a consortium of private companies to build Calgary's southwest ring road. Mason said that project, already under construction, is ahead of schedule and on budget. When it's finished in 2022, Calgary's completed ring road will provide just over 100 kilometres of free-flowing traffic around the city. Nenshi said it's significant that the West Ring Road will link Stoney Trail with Tsuut'ina Trail, and he said it's great news for Calgary and its neighbours that the final segment of the project is going ahead. "I don't mind saying today that this provincial government has been a tremendous partner in making investments in the community that make a difference," Nenshi said Thursday.